DURBAN remains a top commercial property performer in the country, according to master auctioneer Andrew Miller, who addressed brokers at a SA Property Owners Association broker breakfast forum in the city last week. Miller, a founding partner of In2assets, presented property brokers with a broad overview of the current commercial property market, highlighting the impact of the move to online shopping on retail and office space in the country as well as the positive attributes of the city, which remains a popular property investment destination. Miller said Durban had benefited from the move to online shopping as its logistics sector presented a demand for commercial property. He reminded brokers of the city’s recent claims to fame: it was named one of the seven wonder cities of the world; the top performing city for growth millionaires since 2000 by the New World Wealth Report; it was recognised by Mercer Consulting as the number one city in Africa for quality of living from 2015 to 2017; and was listed as No 1 on British Airways Must See Destinations for 2019. He said airlines such as Emirates had announced additional flights to the city because of the flood of people visiting. Developments such as the Point Waterfront, with its multi-storey buildings, including a 55-storey skyscraper and retail shopping mall, bode well for the area. “Durban really is one of the gems of Africa and if we take on that passion, soon we will have a wave of optimism taking place, and I think that starts with us as brokers,” Miller said. 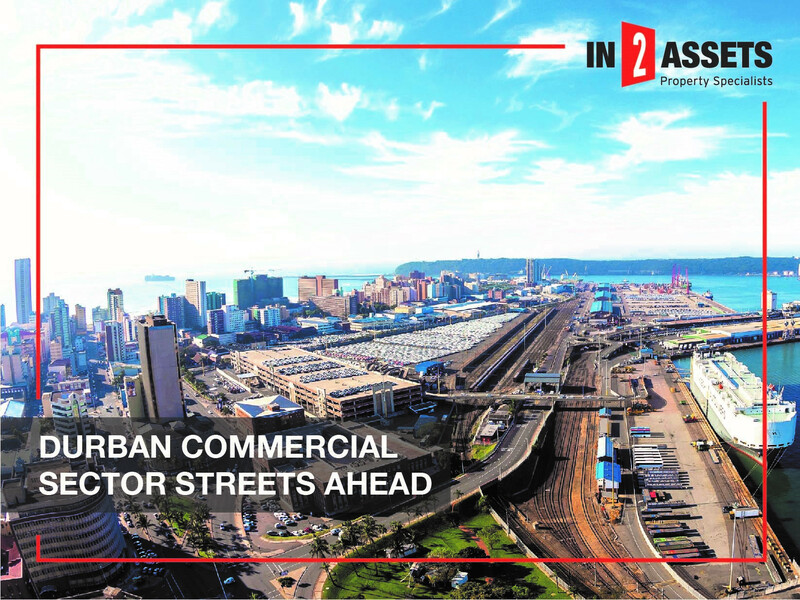 He said Durban’s commercial property performance currently outstripped other major cities in the country in terms of demand for office space and logistics hubs. “One of the sectors that is thriving because of online demand is the logistics sector and in Durban we have a great amount of logistics hubs,” he said. “Durban far outstrips all other centres in terms of office space performance. In Johannesburg, there is an oversupply of office space because today you can operate remotely on your cellphone. Office space is under serious threat in Sandton and investors in the area are sweating. One of the major banks is eliminating all its outlying branches. In Cape Town, the office market remains stable but the residential market is under stress there too, so all around there is a tightening of belts,” he said. Miller said households earning up to R60 000 a month were under pressure due to the high cost of medical aid, rent, and vehicle repayments. “After tax, they are netting R40 000 and not much change comes out of that,” he said. Miller said four out of the top 10 construction firms were under business rescue and the pressure on the sector had a knock-on effect on other businesses, such as electrical contractors and kitchen companies. “Big shopping malls are under pressure as the conversion to online shopping worldwide is compounding the vacancy rates for retail centres,” he said. However, during downtimes wealthy investors often displayed increased strength in their readiness to buy quality investment properties, Miller said.